Picture Afghanistan – A Look at Global Militarization’, ‘Fishing under Fire’ and ‘Gaza Freedom March’ were among 12 short and documentary films from the US film maker Iara Lee which were today screened in the Jaipur International Film Festival(JIFF) here to exhibit the way American government and security agencies were exploiting Afghanistan, Iraq and parts of Africa. Likewise, film ‘Bahlol Dana’ highlighted the fact that there is no place for terrorism in Islam. 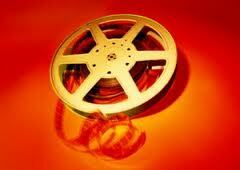 Sixty films from India and abroad were screened in the festival on the third day today. The commencement of the day was with the Russian entry “First Time for Everything” that revolves around a 10 year old boy Koyla and his father, who accidentally meet for the first time and how they built unique relationship in a short span exploring true meaning of a blood relationship. Some of the other films which drew crowds were Director Jayaraj’s ‘The Train’ from India, ‘Top Floor Left Wing’ from France/Luxembourg, and ‘Maritime Silk Road’ from Iran. Some films from Rajasthan that were screened included Darna Zaroori Hai, Bauchaar, My Journey, Jungle mein Jallianwala, Out of Order, Animator and Dekha Andekhi. At ‘The Merchant’ at the Chamber Bhawan eight films were exhibited. These included Bahlol Dana, Bird (Russia) and The End(from Rajasthan). Bahlol Dana is basically a true story of a sage that dates back 900 years and it tells about holiness of the sage who believes in solving the problems of everyone and spreads message of humanity and peace every where. The film lauded the fact that there is no place for terrorism in Islam. Nearly 60per cent of film’s shooting took place on the outskirts of Jodhpur and Jaisalmer. On side-lines Australian filmmaker Andrew Vial taught some of the key lessons on script writing to participants and explained to them how to write effectively small stories. In the afternoon, a seminar was conducted on ‘World Cinema and Regional Cinema at a place-Jaipur How and Why’ at which K C Malu, Suprana Sen, M D Soni and Marc Baschet spoke at a length. The conclusion was that Jaipur is one of those major cities that have their own potential of providing best of the shooting locations exhibiting art, culture and traditions of the people living there and foreign filmmakers have a great opportunity to shoot best of the locations in Jaipur. Marc Baschet held that it would be truly great if the regional cinema in India could make its mark in the world cinema. Previous Post Rajasthan University on its way to FAME !